I invited Fat Mac to the races, but he said he couldn’t spare the time away from his beer. We seem to need many cards, nowadays. In a few years time, something more convenient will take their place, and they will appear ridiculously out-of-date, but in the meantime they fill up our wallets or purses. I previously mentioned my Government Gateway card. I was sent that card when I applied for a new driving licence because the old one was paper and had almost fallen apart. 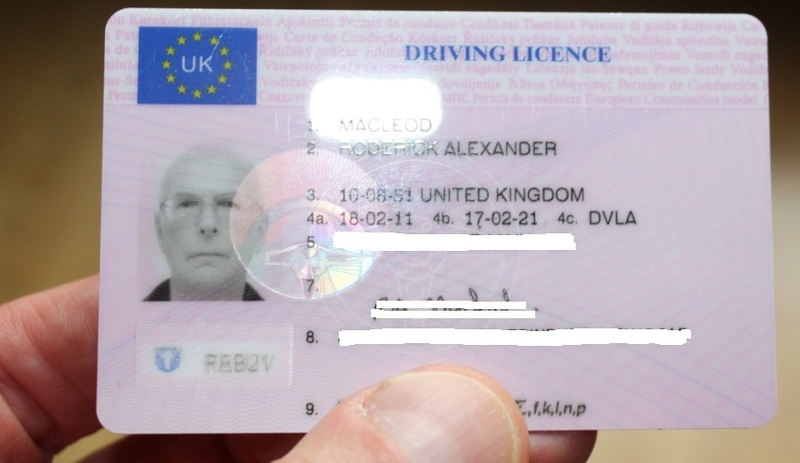 So, then I was sent a new driving licence. Then, I needed a new European Health Insurance card, because the old one was more than 5 years old. 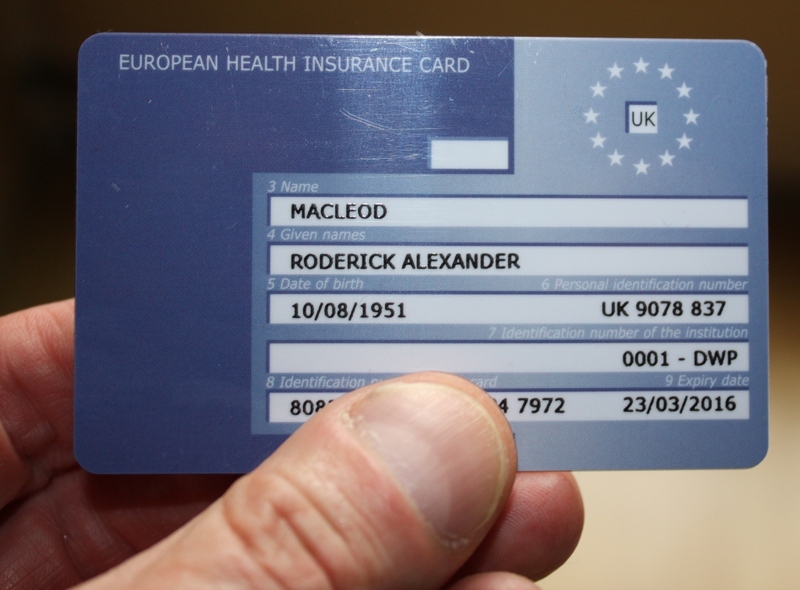 Information about why we need EHIC cards is available. 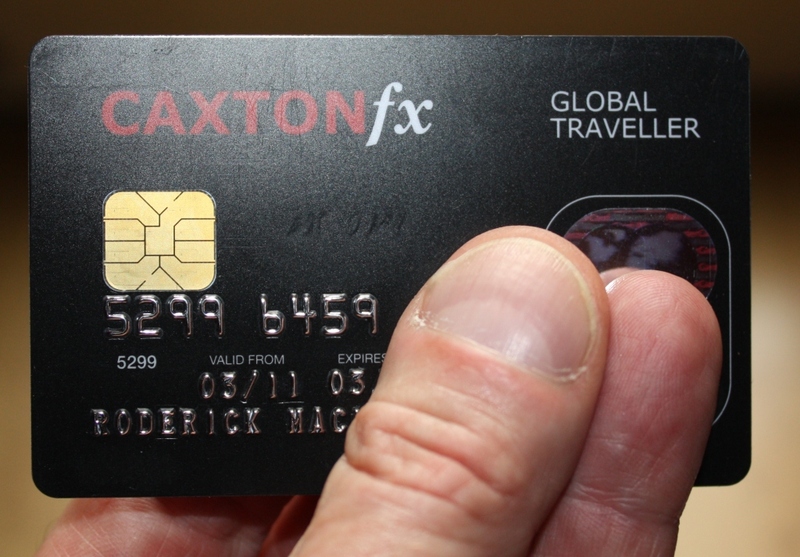 And then I applied for a prepaid Caxton FX card. I used it as a debit card the other day, to make sure it was working OK, and the charge was £1.50 which I wasn’t expecting. And I have an NHS Donor Card, and a Nectar card, and so on, and so on. This happened in 1977, or maybe it was 1978 – well, anyway, the mid-to-late-seventies-or-so, when I was working in the library at Chambers Street, which was then still a part of Heriot-Watt University (it’s now the Sheriff Court). One Friday afternoon I was walking down the main corridor outside the library towards the toilets when a man stopped me. He explained that he was a detective and was looking for volunteers to take part in an identity parade the following day, Saturday. The suspect in the case in question had a beard and spectacles, so he’d come to the university to try to find suitable looking volunteers, and had noticd my beard and spectacles. He explained that for taking part you got a couple of quid. I thought this sounded quite interesting, so on the Saturday morning I pitched up at the Police Force Headquarters in Fettes Avenue. 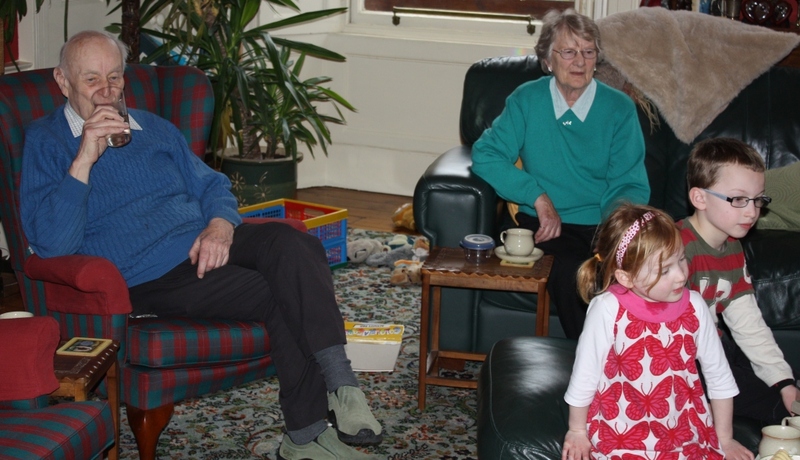 There was a bit of milling around with various people arriving, and eventually I and a couple of other volunteers were shown into a room, to wait. As I entered the room I looked at the sign on the door and saw ‘Murder Squad’. Prior to that, I hadn’t known what the whole thing was about, but seeing ‘Murder Squad’ in writing was suddenly very sobering. Strewth…what had I got involved in? Eventually, we were shown into the place where the identity parade was to take place. There were various solicitors in attendance, and two policeman came in accompanying a third man – the suspect. He was a bit younger than me, but he had a beard and spectacles. All the volunteers were asked to line up with our backs against a wall. There weren’t enough volunteers, so a detective with a beard also joined us, was given a pair of spectacles, and stood beside me, on my right. The suspect was asked to choose a place in the line-up. 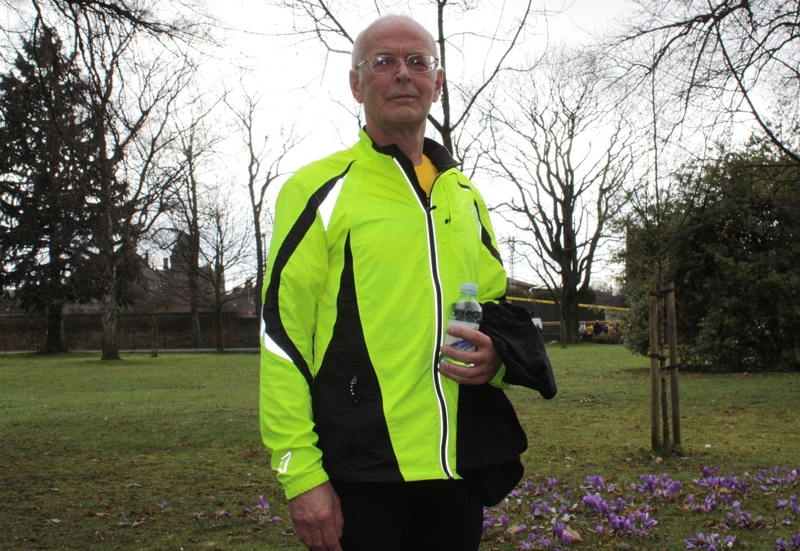 He walked up and down, then turned and spoke to his solicitor. The solicitor said, “Ask all of them take off any belts and ties” which we did. Then the suspect came and stood to my left. The middle-aged man walked along the line, looking us all up and down – there were about eight of us in the parade – until he got to the end, then he turned round, walked back up the line, stopped, and placed his hand on my shoulder. I was stunned! It was like someone had hit me in the face. My heart suddenly started pounding. Boom de, boom de, BOOM DE, BOOM DE, BOOM DE, BOOM DE. What was happening? What had I got involved in? Had I been in Shandwick Place that day? I had no idea. The witness thought I was a murderer! What had I done? Had I shot someone and couldn’t remember anything about it? Was this some kind of set-up I’d walked straight into? Would I be sent to prison? How could I get out of this place? The witness was shown out of the room. BOOM DE, BOOM DE, my heartbeat continued. I looked around and half expected to be handcuffed. Then the detective to my right turned to me, saw how worried I looked, and said, “Don’t worry. It happens all the time. You’re only in trouble if they all finger you.” Then he smirked. Don’t worry! You haven’t just been identified as a gunman! I have no idea where I was on the xth of August. BOOM DE, BOOM DE, BOOM DE, BOOM DE. Strewth, I thought, she’ll hear my heart pounding. and then reached out and put her hand on the shoulder of the detective volunteer to my right. BOOM DE, BOOM DE, BOOM DE, boom de, boom de. What kind of idiot witnesses were these? Anyway, I suddenly felt a great deal better. They wouldn’t be able to put me in the slammer without also arresting the detective. There were a number of other witnesses, and apart from one of them, they all put their hand on the shoulder of the suspect. As was gradually revealed, the identity parade was to do with someone who’d shot the owner of a gun shop. The killer was later identified as being in the Scottish Liberation Army. When it was all over, and after I’d been paid my two quid, I left the police headquarters and walked up the road towards Stockbridge. At Comley Bank Road something made me turn round, and there, across the other side of the road waiting at a bus stop, was the man in the tweed jacket who had put his hand on my shoulder, looking straight at me. His jaw had dropped. As far as he was concerned, the police had just let a gunman walk free. 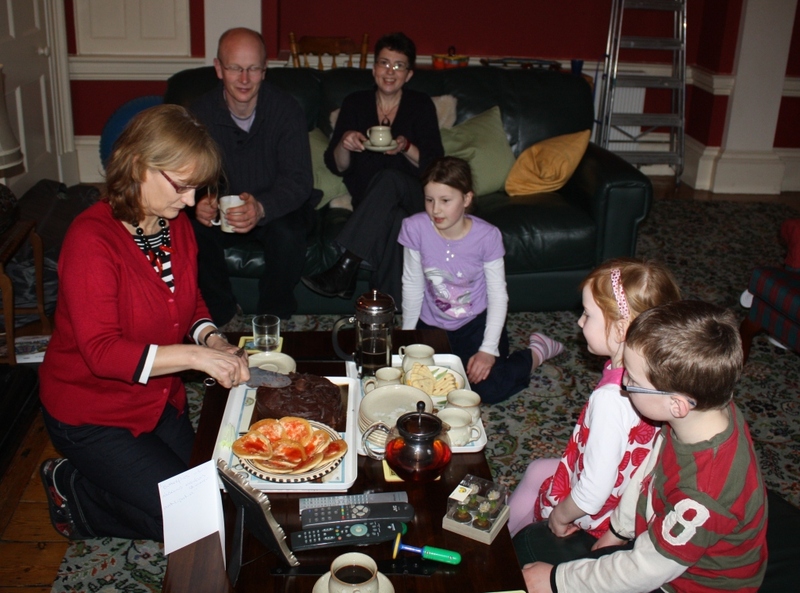 Here’s a couple of photos from Lindsey’s birthday party. Lindsey won’t tell me how many birthdays she’s had, but I’ve seen her passport, and know when she was born. 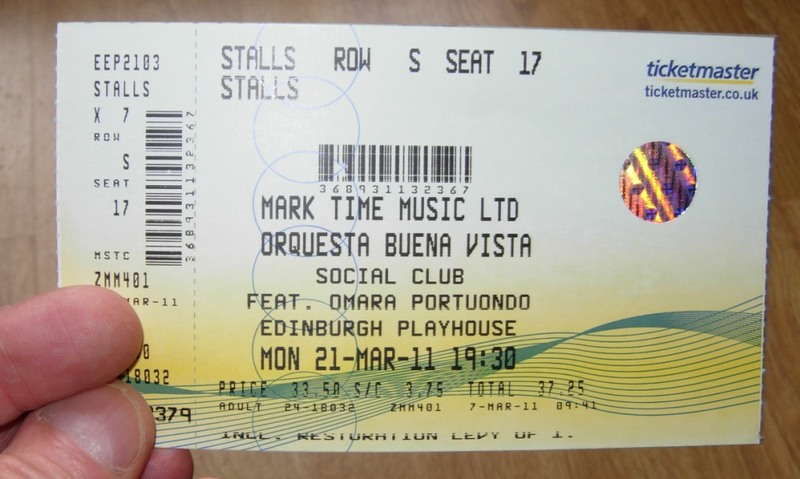 For her present, I took her to see Orquestra Buena Vista Social Club (which features a number of Buena Vista Social Club alumni), performing with Omara Portuondo at the Playhouse. Super! 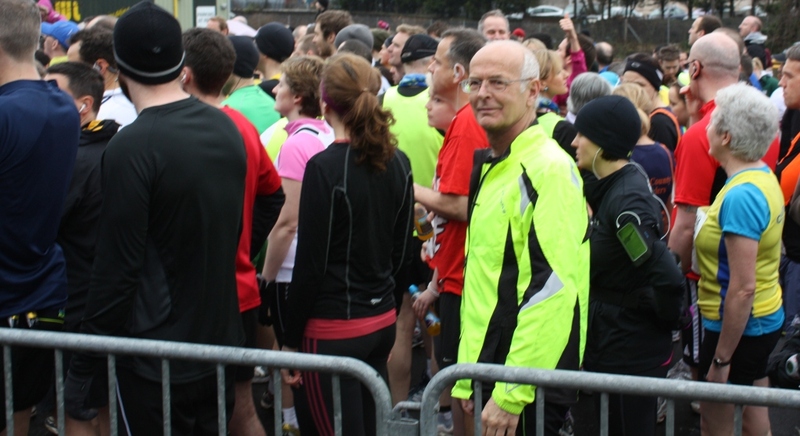 On Sunday, I ran in the Alloa Half Marathon. The weather was OK, if a little wet at the start. My time was 01:57:56 and I came 685th. Last year, my time was 02:02:36 (804th) but on Sunday I was slower than my time in the Mull Half Marathon last August (01:56:57). I put this down to not having enough time for my warmup of a cigarette and a coffee. Those volunteeers who handed out water, and the general public who lined the route, were fantastic. It was Lindsey’s birthday on Sunday, so on Friday evening we went to Nargile Edinburgh, 73 Hanover Street, for a meal. It was excellent! Using a coupon from Groupon, it was also reasonably priced. 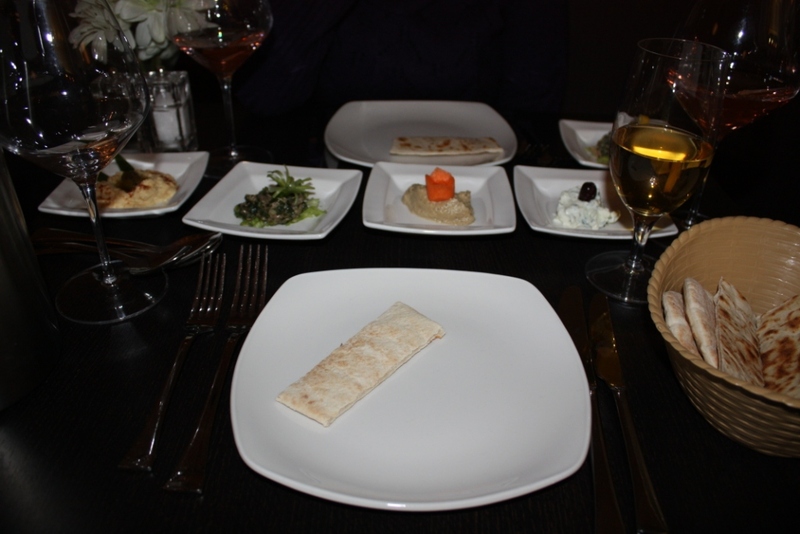 By starting with Meze for two, we were able to sample several extremely interesting and unusual tastes. 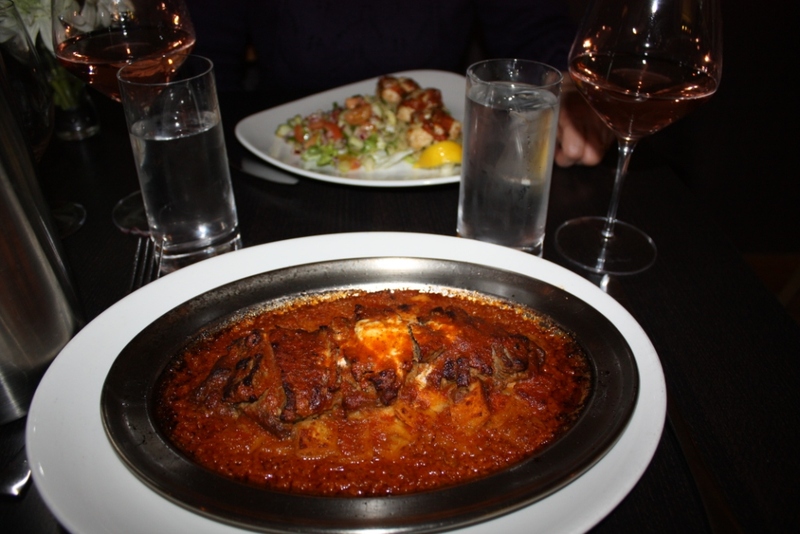 My main course, the ‘Nargile Special’ was one of the most delicious dishes I’ve ever had. Here’s the description from the menu: “A layered dish of chopped pitta, pureed aubergine and thin slices of marinated lamb dressed with halep sauce and hot butter.” It may look a bit unappetising in the photo below, but boy, was it good! We had a bottle of Pinot Grigio Blush, which was OK, but a full-bodied red would have suited the lamb better. Lindsey enjoyed her Fener Balik (Oven roasted escallops of monkfish topped with tomato, basil and mozzarella cheese, served on a bed of lemon and herb scented kus kus). When it came time to pay the bill (for the wine and coffee, because the rest was included in the £24 Groupon coupon), they hadn’t included the wine. Well, you can’t expect others to be honest with you if you’re not honest with them, so I pointed out the omission. The waitress looked very relieved. 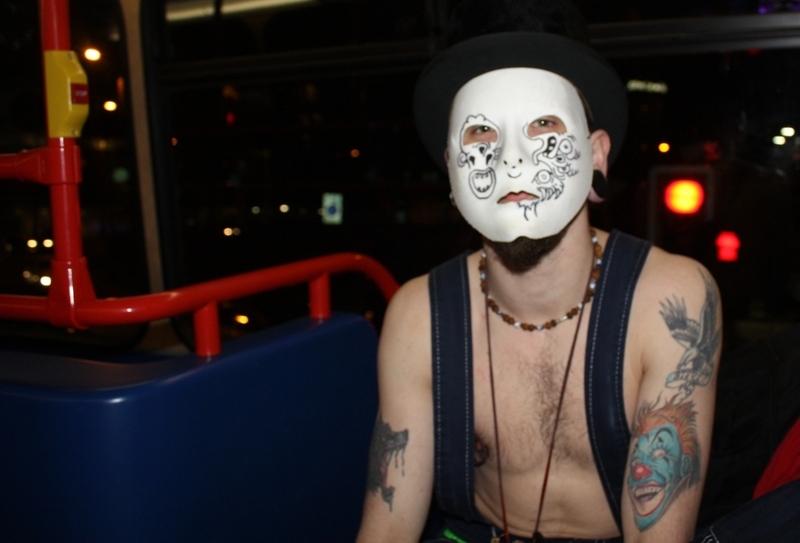 On the bus home, this chap sat opposite us.